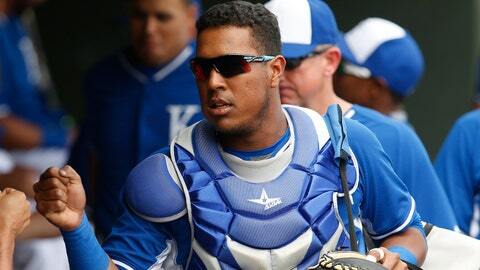 Salvador Perez likes to have fun and document it on his Instagram page. Kansas City Royals catcher Salvador Perez has a larger-than-life personality and documents it regularly on his Instagram account. One of his most recent posts came Sunday night as he and his teammates were traveling to Canada to take on the Toronto Blue Jays on Monday in Game 3 of the ALCS. If you follow Perez, you know he loves to wind up his friend and teammate Lorenzo Cain. This time, the catcher took to wrestling with him while waiting at baggage claim with predictably great results. But wait, there’s more: At some later point in the evening, Perez tried AGAIN to engage Cain in some kind of tomfoolery, but Cain still wasn’t interested. It’s a tradition nobody wants to see end.